Since Phoenix (pics) is the capital city of Arizona, naturally we had to visit the Capitol building. This Capitol, like others we have visited no longer houses the current legislative chambers. 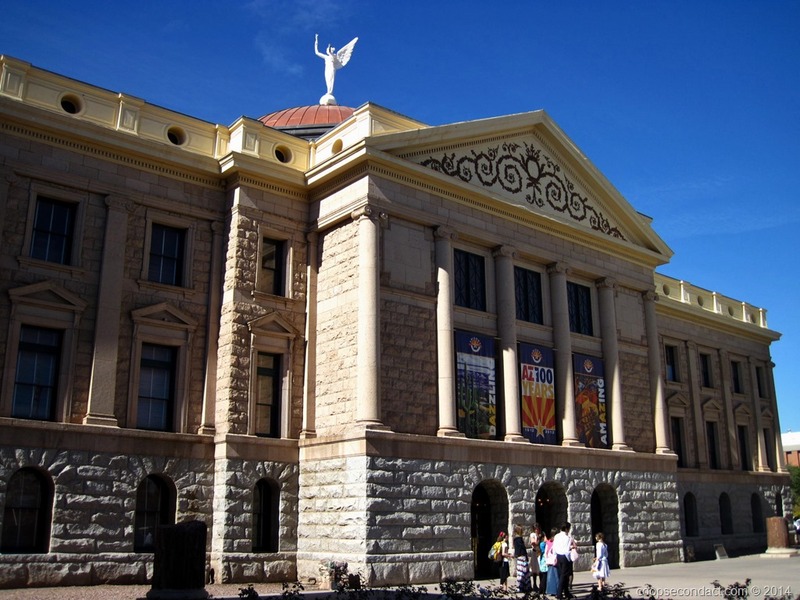 In Phoenix the Capitol is flanked by more recently constructed buildings for the House of Representatives and Senate. The Capitol has been remodeled to look as it did when it was originally dedicated in 1901 and now serves as a state museum. 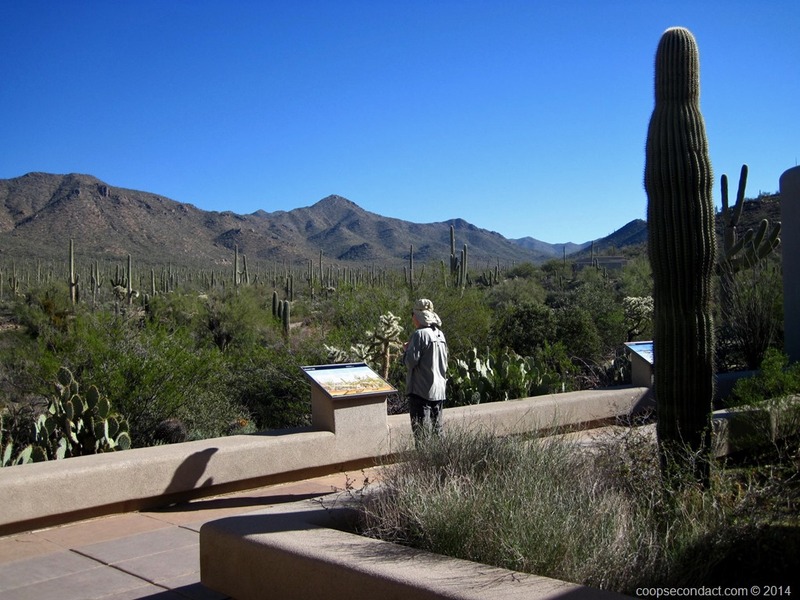 Saguaro National Park (pics) in Tucson, AZ, comes in two installments, East and West. The city of Tucson occupies the middle space between the two parts of the park. The Saguaro, largest cactus in the US grows natively only in the Sonora desert in this part of Arizona. Ok, it’s not a breakneck pace but it’s a bit more driving than we have done through our road trip so far. We left San Antonio on January 23rd and drove to Fort Stockton, Texas. This allowed us to cover about 310 miles of West Texas. 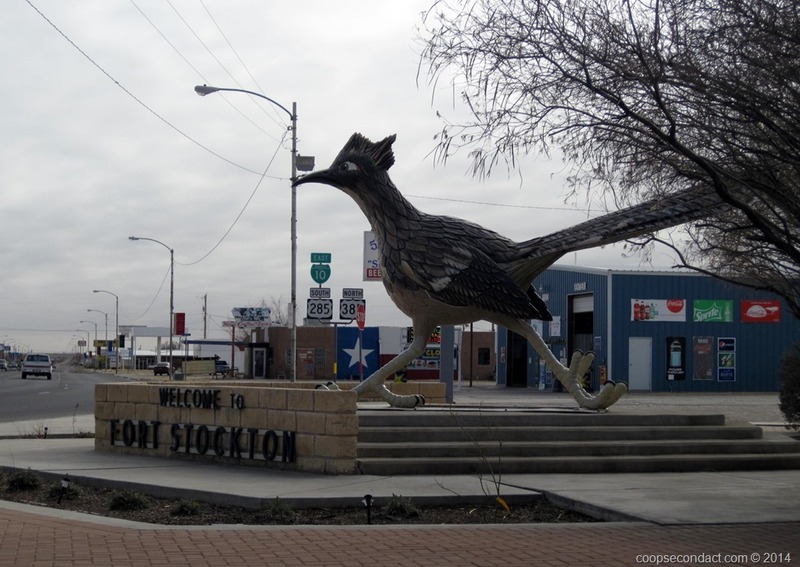 Fort Stockton sits in the heart of the Permian Basin oil field and has ‘Paisano Pete’, the road runner. The next day we drove on through the rest of Texas and into New Mexico, stopping overnight in Las Cruces, covering another 285 miles. After an overnight stop, we continued on into Arizona stopping in Tucson, an additional 275 miles. This drive was by far the most we have driven in such a short time but there just wasn’t much to see along the way. It was interesting passing through El Paso, Texas, shouting distance to the Mexican border. If we had brought our passport we could have made this an international road trip. 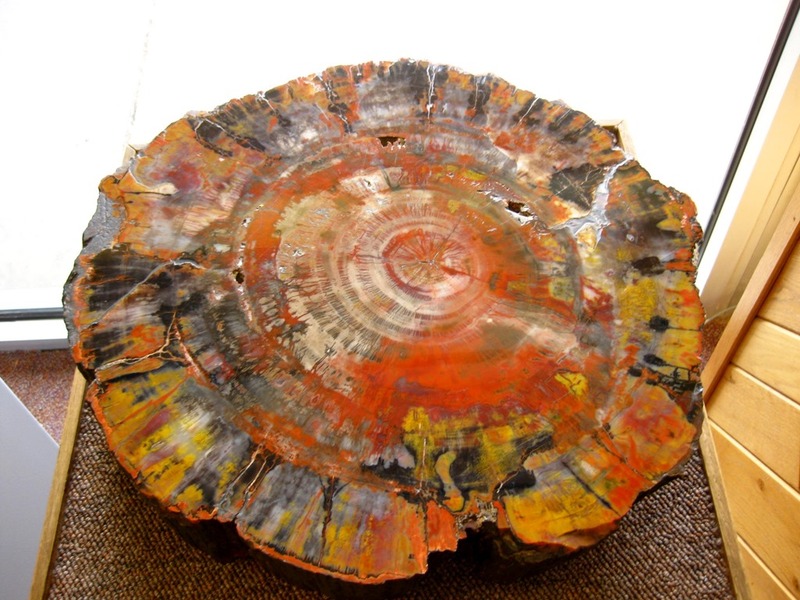 Petrified wood can be found in all 50 states of the United States as well as in a few other countries. However, only here in the Petrified Forest National Park (pics) will you find such a vast amount of petrified wood laying about on top of the ground. This park is located near Holbrook, AZ. About 35 miles east of Flagstaff, AZ, and just south of Interstate 40, you’ll find the “best preserved meteorite crater on earth”. This crater is over 4,000 feet in diameter, 2.4 miles in circumference and about 550 feet deep. Although it is far from the largest meteorite crater on earth it has an interesting history in that it was the first to be recognized as a crater resulting from the impact of a meteor.